What is worse than a under-priced business where you are giving it away for free? An overpriced business because you will never sell it. First it will be to expensive, once you lower the price after a while, everybody gets suspicious and believes something is wrong with the business, which means it doesn't sell at all, not unless you lower the price to a point where it becomes a "no-brainer". So pricing it right is crucial. Valuing your business can be done using a multitude of ways to do it, but the one way its not done is believing all you friends opinions. Although certain formulas and techniques works for small medium businesses some don't. We also use these techniques for part of our assessment. We further use the information to our disposal about the market and other businesses like yours. 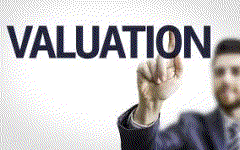 We will therefore give you a MARKET VALUATION OF YOUR BUSINESS. The good news is that if you give us a mandate to sell your business, it is free and forms part of our normal excellent service. So if you need that all important professional valuation of your business for another reason that giving us a mandate to sell we will charge you our normal valuation fee to determine the value of your business. We charge 0.5% of the value of your business with a minimum of R2,500 for the smaller businesses and a maximum of R50,000 for those big businesses. We will deduct this amount for you from any commission we earn if we get a mandate to sell your business. For this valuation we will take the provided information at face value and provide you with a free desktop valuation without a visit, just using the information provided. This is an excellent way to test the water and decide whether selling your business is an option. "A good example has twice the value of good advice!" 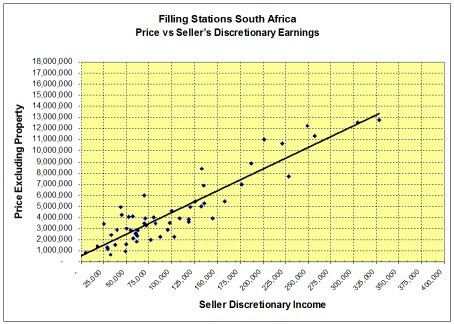 The Market Price Valuation Methodology used by us is based on data and the analysis of that data. Small businesses are very hard to value unlike larger businesses that are based mostly on financial factors and return of investment in one way or another to investors, be that capital growth or dividend yield or both. The price of a SME is determined by various other factors that has very little to do with financial returns and dividend yields. People buy SME’s for a multitude of reasons which might be lifestyle change, providing job security, creating a job for a family member, pursuing a dream. How do you put a value on these variables? The Market Valuation Methodology utilises the data available on similar business, either mandates for a sale or businesses sold in the immediate past. These variables have already been accounted for by buyers and their motives regardless of what they are. Placing a similar business on the market will be influenced by the same forces, hence automatic correction of the price and offering will be the outcome for a transaction to be concluded. Comparing the business with this data therefore is the fundamental principle to factor in the intangible variables that drives SME pricing. "Good Formula's and Statistics Never Replace Common Sense!" Visiting the business to determine all the relevant factors specific to the business, as each business are unique and these factors need to be incorporated into the business valuation is a crucial step. Every owner knows and understand his or her business and a meeting with them shed light on the business and its current strengths, weaknesses, opportunities and threats. 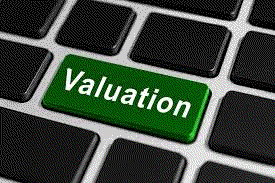 We incorporate all of this information into our business valuation.